Geneva – Gender-Based Violence (GBV) is prevalent in all the crises where the UN Migration Agency (IOM) operates. Worldwide, IOM camp managers, shelter engineers, and health workers, amongst others, witness every day the unbearable, devastating and often prolonged consequences of crises and displacement. This may include the individual harm and suffering caused by acts of GBV, and its negative impacts on communities the Organization seeks to assist and protect through, for example, stigmatization and ostracism of GBV survivors, lack of social cohesion and even failed peace processes. Although IOM has addressed GBV within emergency and post-crisis programmes for many years, interventions were largely ad hoc and not systematically integrated into IOM crisis operations. Four years ago, with the support of the governments of the UK and Canada, IOM embarked on a global, institutional journey to ensure that actions to mitigate, address and ultimately prevent GBV were implemented in a manner commensurate with its prevalence and severity. Sustainable support through the US Department of State Bureau of Population, Refugees, and Migration’s ‘Safe from the Start’ funding initiative has enabled IOM to reflect on the best way to strengthen our engagement and contribution towards the collective efforts of the UN system, civil society and partners to address GBV worldwide. 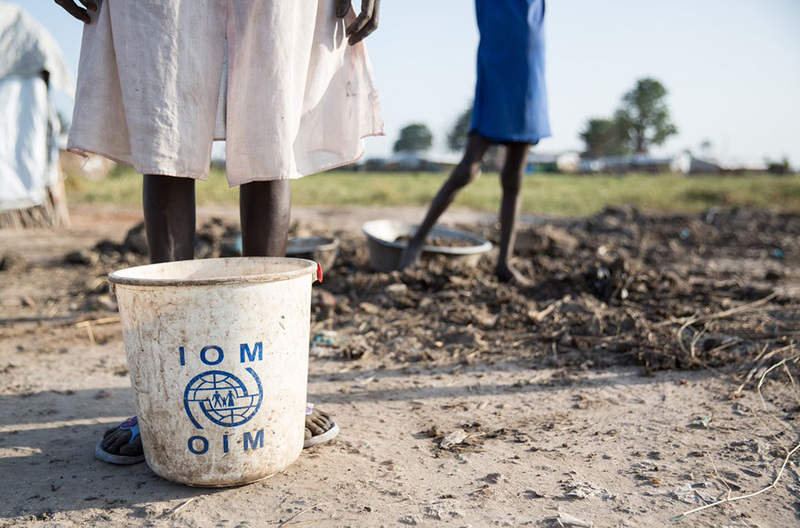 Building on lessons learned and emerging good practices documented over the course of these years, IOM’s Department of Operations and Emergencies has developed IOM’s first Institutional Framework for Addressing GBV in Crises (GBViC Framework). On 25 September, the GBViC Framework was launched at the Palais des Nations in Geneva. “This Framework reinforces IOM’s accountability to crisis-affected populations, partners and donors by articulating and advocating for a robust and consistent approach to quality GBV interventions as an essential part of IOM crisis operations,” said IOM Deputy Director General Laura Thompson, who moderated a high-level panel with representatives from UNFPA, the European Civil Protection and Humanitarian Aid Operations (ECHO), and the governments of Colombia and the United States. “It also fulfils one of IOM’s important commitments to the global Call to Action on Protection from GBV in Emergencies,” Ambassador Thompson said. The GBViC Framework is also the result of a fuller understanding of the operational challenges of tackling GBV and the areas where IOM can make the most valuable contribution to the collective efforts of the humanitarian system. The GBViC Framework’s key objective is to ensure that the safety, dignity, well-being, and equitable access to services for all crisis-affected persons, especially women and girls, is prioritized, integrated, and coordinated across all IOM crisis operations. The GBViC Framework represents a major step for IOM as it seeks to foster a more coherent approach to addressing GBV in humanitarian crises. 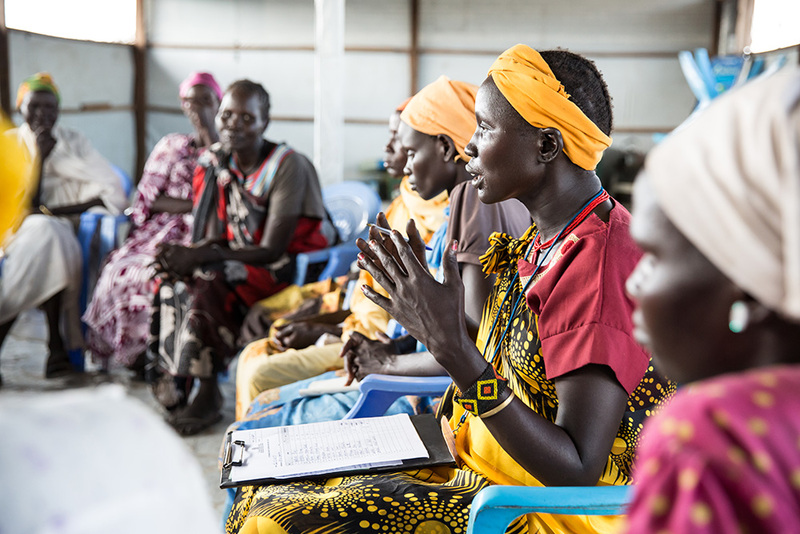 “As a leader in mainstreaming gender-based violence prevention and response into the shelter cluster and supporting the Gender-Based Violence Area of Responsibility, people look to IOM for expertise and resources,” said US Humanitarian Counsellor, Tressa R. Finerty.